Thousands of Blues fans are definitely on the move this week. The Legendary Rhythm & Blues Cruise is in full swing as is Delbert McClinton’s 20th annual Sandy Beaches Cruise. Memphis, Tennessee is also bursting at the seams. 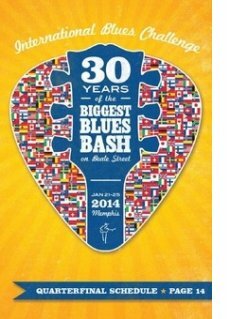 Myriads of blues bands, solo/duo acts, fans and industry folk, from literally around the globe, have taken over Memphis' Beale Street especially for the Blues Foundation's 30th International Blues Challenge (IBC). My first experience in Memphis was 2001. I was actually blessed to be one of the bands participating in IBC and I felt like a winner just arriving there. 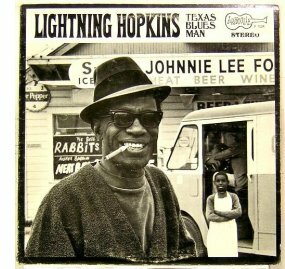 For me, a West coast California-raised girl, being in the heart of the Delta was blues/roots magic. I got to perform and jam in clubs like B.B. Kings and Rum Boogie, put some yummy south in my mouth at Blues City Cafe, experience historic Sun Studios, the memorable Rock & Soul Museum, the Center for Southern Folklore, Peabody's duck parade, Al Green's Church of Love (he was even presiding), A Schwab's General Store whose motto is, "If you can't find it at A. Schwab, you're probably better off without it," etc. I couldn't wait to return and stay longer so I could soak in even more of the rich history of the roots of the blues. During subsequent visits I've made it to the Stax Museum, Clarkdale, Tunica, Lula, Helena (AR), the famed "Crossroads," Hopson Commissary and much more. During IBC the energy is thick and smiles and camaraderie are aplenty. 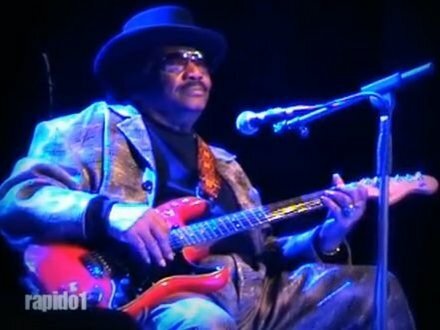 During the Blues Music Awards week in May it’s just as electric and exciting. Wishing everyone there an amazing time sort of goes without saying… it’s a given. Blues Birthdays of Note: Jan 24 Aaron Neville (1941), Johnny B. Moore (1950), John Belushi (1949); Jan 25 Sleepy John Estes (1899), Etta James (1938); Jan 26 Huey "Piano" Smith (1934); Jan 27 Andrew "Smokey" Hogg (1914), Elmore James (1918), Bobby "Blue" Bland (1930); Jan 28 Drink Small (1933); Jan 29 Eddie Taylor (1923), Jonny Lang (1981); Jan 30 Ruth Brown (1928); Jan 31 Roosevelt Sykes (1906), Chuck Willis (1928), Paul deLay (1952), Charlie Musselwhite (1944), Big Time Sarah (1953). Correction: Last week I stated that Martin Luther King, Jr. Day was Jan 21 which was incorrect. Martin Luther King, Jr. Day was Monday Jan 20. 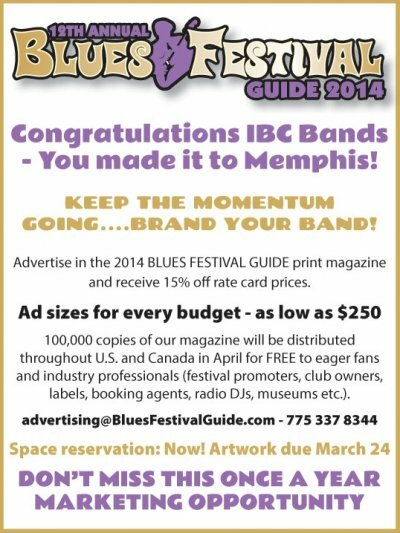 The Blues Festival Guide had a table at the IBC Band Registration in Memphis Wednesday afternoon to meet and greet all the bands from around the world. We raffled off advertising in our information-rich blues media products. 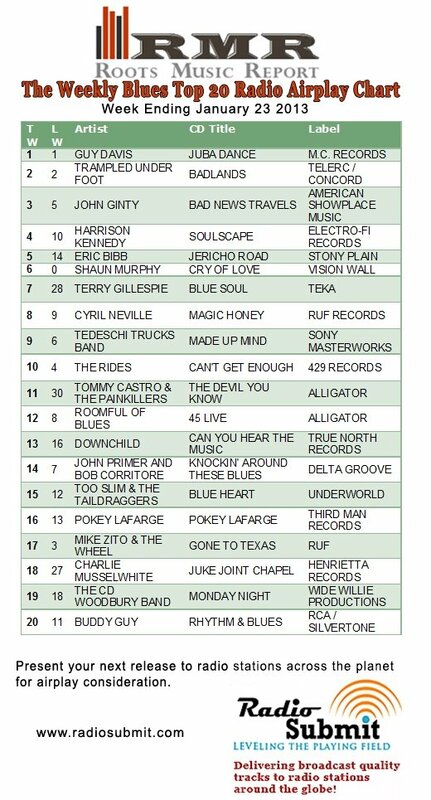 1st Place - A Custom E-Blast to our fresh database of 28,500 opt-in subscribers and industry folks too - goes to Gary Small & The Coyote Bros.
5th Place - Banner ad for 4 weeks on our top-ranking blues website: www.BluesFestivalGuide.com - goes to Robert Higginbotham's band, GRITS. CONGRATS EVERYBODY. SEE YOU ON BEALE STREET. See more IBC Week details in the Blues Foundation News section this issue. 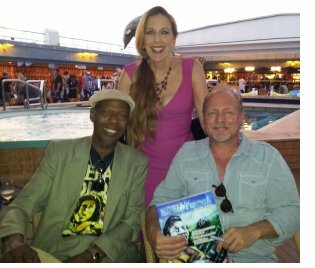 show off a copy Blues Festival Guide magazine hanging out on the deck of the Legendary Rhythm & Blues Cruise. 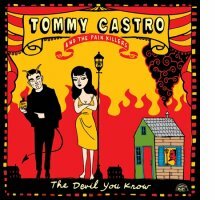 Want a hard copy to have and to hold? Check with your local blues society or look for one at a blues festival or find order information here. Empty Roads is the Blues Society of Western Pennsylvania's submission for the 2014 Best Self-Produced CD presented by The Blues Foundation. Musical technique and vocal ability are prerequisites for popular music, the blues and related genres included. However, when impressive skills everywhere abound, it is indefinable “feel” and unfiltered personal expression that separates the exceptional from the merely excellent. 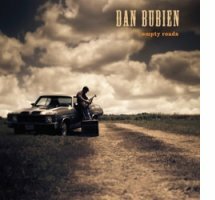 Extraordinary singer, songwriter and guitarist Dan Bubien, emerging from the gritty blue collar world of Western Pennsylvania, fulfills the requirements with overpowering passion and commitment to his artistic vision. Bubien makes his big league debut with 11 original blues, funk and silky R&B tunes boosted by Gary Ripper (bass), Andy Taravella (drums), Timmy Mabin (keyboards) and additional guests..
With a lineup that features the Blind Boys of Alabama, Curtis Salgado, BeauSoleil, Maria Muldaur & the Midnight Scramble, Candye Kane, Southern Hospitality and more, the Blast Furnaces Blues Festival is all about celebrating the blues. But, if you want to go behind the music and discover the elements that put the heart, soul and sound into it all, then you’ll want to be part of the new Blues Performance Workshops on Feb. 8. 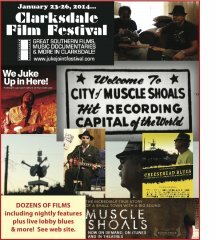 (CLARKSDALE, MISSISSIPPI) For its fourth year in a row, the Clarksdale Film Festival aims to make you laugh, cry and occasionally, rock out. Organizers promise attendees a feast of Mississippi and Southern filmmaking – plus a little fresh popcorn. The festival runs Thursday-Sunday, January 23-26. The main downtown screening venue is historic Delta Cinema (11 Third Street) with a secondary venue at Channel Ziltch (119 Third Street). More information is available at www.jukejointfestival.com or 662-624-5992. Tickets are $5 per day or $10 for a weekend pass; available at the Delta Cinema box office during festival hours. Official festival hats and shirts are also available in the Delta Cinema lobby. What were your New Year’s resolutions this year? Travel more? See live music? Meet new people? Down Under Answer has the solution to mark them all off right now! Australia’s premier blues and roots festival is gearing up to celebrate its 25th birthday, April 17–21 and all the stops have been pulled out to throw a spectacular five-day party that you will never forget! With an incredibly lineup featuring some of the world’s biggest names in blues, roots, soul, gospel, R&B and rock giving more than 200 amazing performances across seven stages, do not miss this chance to experience the 25th anniversary Bluesfest. 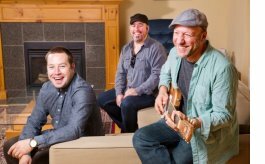 The Ottawa Citizen - It’s a banner year once again at the Maple Blues Awards for Ottawa’s super Blues group MonkeyJunk. (Photo from l-r) Steve Marriner, Matt Sobb and Tony Diteodoro of MonkeyJunk. The band picked up five awards (on six nominations) including Entertainer of the Year, Electric Act of the Year, Recording of the Year for All Frequencies, Songwriter of the Year and Harmonica Player of the Year for Steve Marriner, one of the members of the band. The others are Matt Sobb and Tony Diteodoro. The album All Frequencies beat out One of a Kind by Gatineau’s Ben Racine, among others. On Tuesday, January 21, the IBC International Showcase was hosted by the Beale Street Merchants Assoc. at the New Daisy Theater. 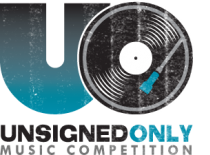 Wednesday, January 22 was round one of the IBC Quarterfinals for solo/duo and bands at various venues up and down Beale Street. Thursday, January 22 is round two. The 30th IBC program is available online. You can find who is playing where beginning on page 14. Click here for the entire program and checkout all the bands from around the world and more. 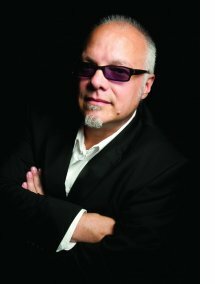 Find more Blues Foundation news here and keep up with all the cool stuff happening in Memphis this week plus of course who makes the finals and who ultimately wins. + Remaining Cabins are on Sale Now... go for it! Open Cabin Sales on Sale now! Visit bluescruise.com for cabin pricing & details and great lineup! Very Important: In order to select a stateroom for the #23 Mexican Riviera cruise you will need to have your user name and password. This will allow you to access our reservation system. If you have forgotten your user name/password, click to reset. Unsure or need help creating an account? The Steel City Blues Society (Phoenixville, Pennsylvania) has recently received a Pennsylvania Partners in the Arts grant. The society cultivates and preserves the tradition of blues music through community events such as the Phoenixville Blues Festival. They also help the youth in the community discover the joy of music by raising awareness and funds for the “The Give the Gift of Music Foundation,” a nonprofit organization established to assist underprivileged children in the area to have access to music lessons and after school programs. We have late night blues, early morning blues, blues for a hot summer day, driving blues, blues for lost love, blues for found love…. And when the clouds gather and the sky opens up, we have blues for that too. Come inside, and cozy up. Blues for a rainy day. Next time, in the Bluesmobile. Tomcat Courtney ... "Cook My Breakfast"